Address: Dil Muhammad Road, Lahore. 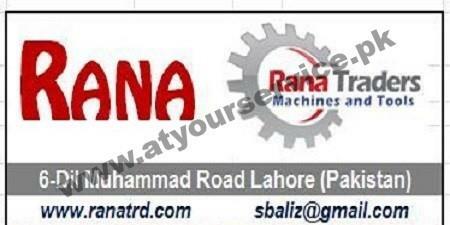 We Rana Traders are dealing in All kind of Pakistani and Chinese Engine Rebuilding Equipment and Tools and exporting our products to all around the world including, Middle East, Gulf and African Countries. 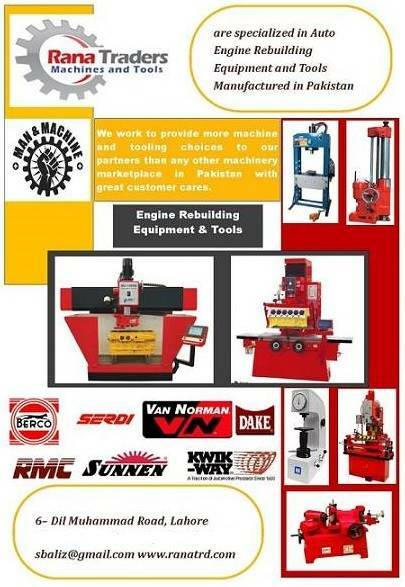 We are specialized in Auto Engine Rebuilding Equipment & Tools manufactured in Pakistan. We work to provide more machine and tooling choices to our partners than any other machinery marketplace in Pakistan with great customer care. We receive online inquiries through this page.